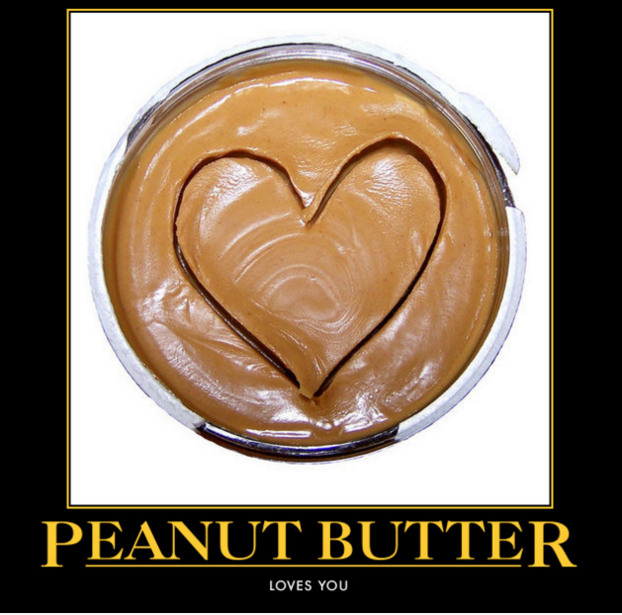 Did you know peanut butter is so simple to make and even better for you homemade? Most store bought peanut contains sugar. Cutting out as much sugar as you can in your diet is a great way to keep off the pounds and feel better. So many foods today are loaded with sugar. Start reading labels. It will surprise you how much sugar is added to our food! So let’s get down to peanut butter business! Making sugar-free peanut butter requires nuts and a blender. If you want to roast your peanuts before hand, throw 2 cups of raw peanuts on a cookie sheet and cook for 10 minutes at 350. Next, blend the peanuts for 10 minutes for creamy deliciousness! If you prefer crunchy peanut butter, save ½ cup of coarsely chopped peanuts and throw them in at the end. Can you believe it? That’s it! If you want to get a little creative and bring out your foodie side, try adding cinnamon or honey. Now here are a few scrumptious peanut butter recipes to try your homemade treat! Just look at this picture of easy vegetable stir fry with creamy peanut sauce. Doesn’t it appear to be incredibly appetizing? Well, it is! It is quick to make and you are going to get a daily dose of veggies! This is one of my favorite food combinations. 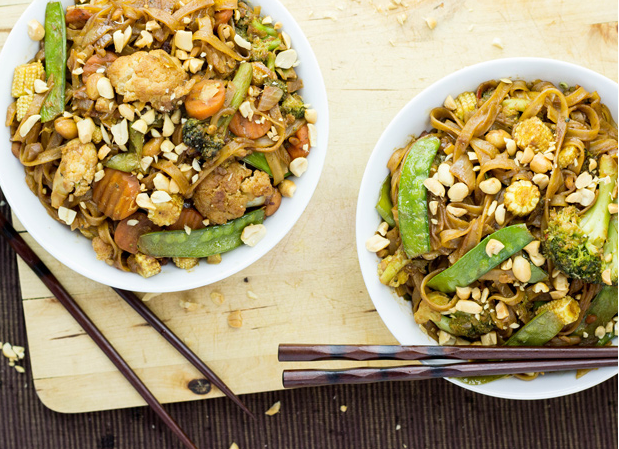 The flavors of the stir-fry, noodles and peanut sauce will leave you absolutely satisfied. I can pretty much eat anything with peanut sauce. How about you? So, who needs to go out to eat when you can make an amazing meal like this at home? 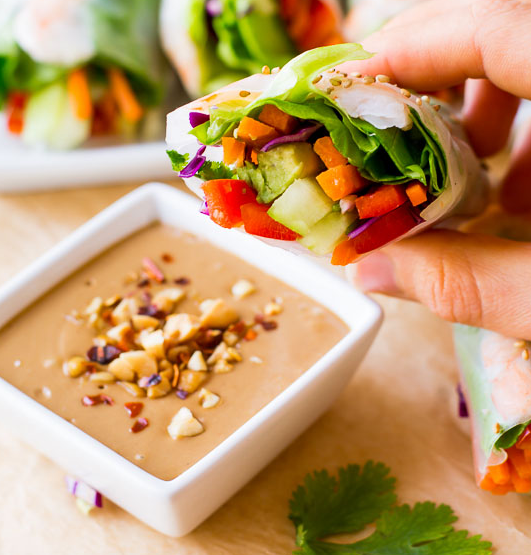 I started making these fresh summer rolls at home because they are simply delicious! I spent a lot of money ordering spring rolls from my favorite thai restaurant down the street and decided why not give them a try at home! They are also a versatile dish! You can wrap whatever you like in them to make a healthy and quick meal! Try adding mango, hearts of palm, or shrimp. Then of course the best part is the peanut sauce! Dip as much as you please! What’s all this talk about chia seeds lately? Chia seeds are loaded with nutrients and antioxidants which help your body in multiple ways. According to authoritynutrition.com, “Despite their tiny size, chia seeds are among the most nutritious foods on the planet. 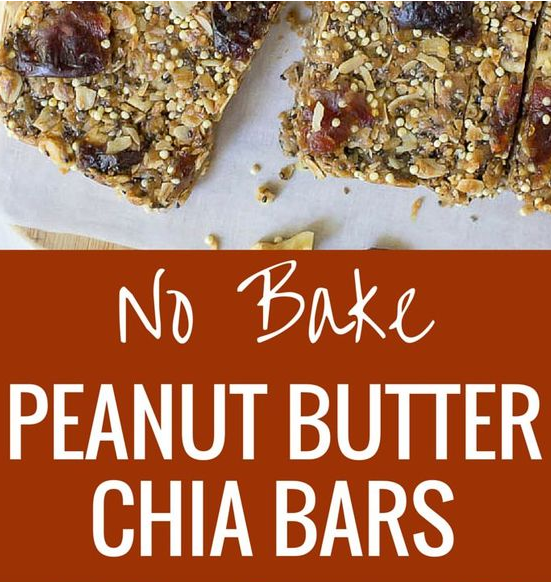 They are loaded with fiber, protein, Omega-3 fatty acids and various micronutrients.” Imagine a no bake peanut butter chia bar with quinoa, granola, dried cherries, apricots, nuts and the list goes on. This is an energy, nutrient packed snack that your kids will love or you can take when you are on the run! Healthy foods are in fact tasty too!